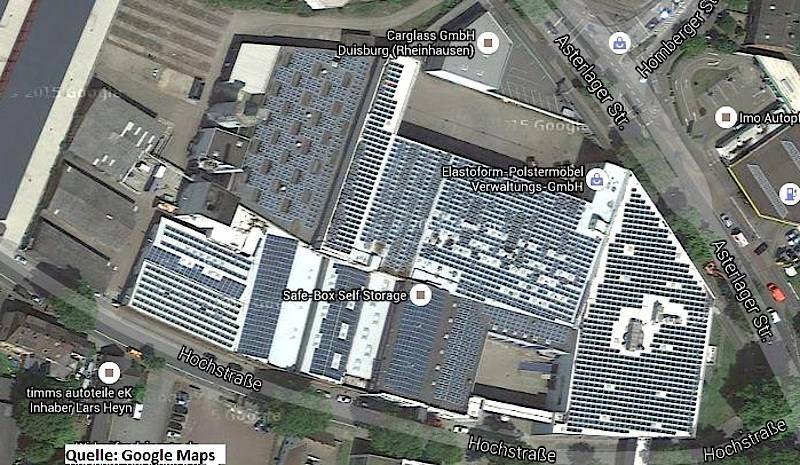 Adiant Capital Partners announces the completion of a German commercial rooftop PV project with an installed capacity of 1,034.16 kWp. The PV project, located in Duisburg in Germany, was connected to the grid connection on 24 April 2015. Through its Adiant Solar Opportunities I fund, Adiant acquired the rights and financed the entire construction. On 30 March 2016, the sale to the long-term owner, Better Energy Invest A/S, was completed. The project is equipped with 4,309 Sunowe SF156x156-60 polycrystalline modules and 36 PowerOne Trio and PVI string inverters. It will produce in excess of 963 MWh of electricity annually, enough to cover the power consumption of 275 German households and avoid the emission of 500 tons of CO2 each year. The project will operate for the next 20 years. Adiant and Better Energy appointed Multicon GmbH and MSAB GmbH as EPC and O&M contractor. Adiant was advised by hww Rechtsanwälte and Better Energy was advised by Kraske Melcher on all legal and by K&S Ingenieurpartnerschaft Krug & Schram on all technical aspects of the transaction. Better Energy Invest A/S (“Better Energy”) is a renewable energy investor and asset manager specialized in making renewable energy infrastructure investments available to individuals and professional investors. Better Energy has an investment platform allowing investors the opportunity to co-invest directly in renewable energy projects and build own portfolios via stakes in various projects. Investors’ benefit from using Better Energy’s renewable energy know-how and expert advisors to handle the transaction and due diligence process and the long-term asset management. Better Energy is based in Copenhagen, Denmark and has representation in Hamburg, Germany.